Ohio State can help you achieve greater independence following the loss of a limb. 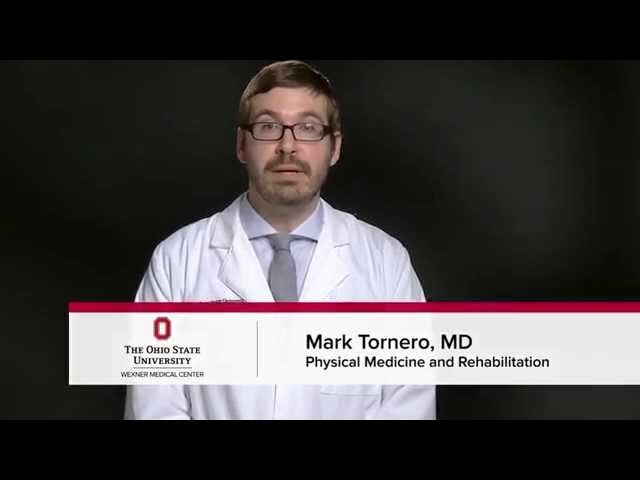 The Amputee Rehabilitation at Ohio State’s Wexner Medical Center supports your physical and emotional needs resulting from the loss of limb due to an accident, illness, birth defect or cancer. Our care program can prepare you for an artificial limb (prosthesis). We will help you learn new skills and adaptations as you advance toward a greater level of independence and a higher quality of life. Unique Services: Orthopedic surgeons, prosthetists and physical therapists work together to manage your care. This clinical team employs the most advanced, evidence-based practice model to provide leading-edge rehabilitation services. Our clinical therapists offer innovative approaches while helping the amputee patient with advanced prosthetic technology. Accredited Programs: We are proud that our Inpatient Rehabilitation Programs at Dodd Hall and our Outpatient Medical Rehabilitation Programs are accredited by the Commission on Accreditation of Rehabilitation Facilities (CARF). CARF recognizes our programs as meeting the highest standards in quality, safety and outcome measures, which provide risk-reduction and accountability in our patient care. Our Specialty Amputee Program is one of only two CARF-accredited outpatient amputee programs in the country. The Specialty Amputee Program offers rehabilitation services to help in each phase of your rehabilitation — from services offered in the hospital (inpatient services) to those offered after returning home (outpatient services). These services help you achieve your highest level of recovery. A New Prosthetic Leg: How long does it take to adjust?